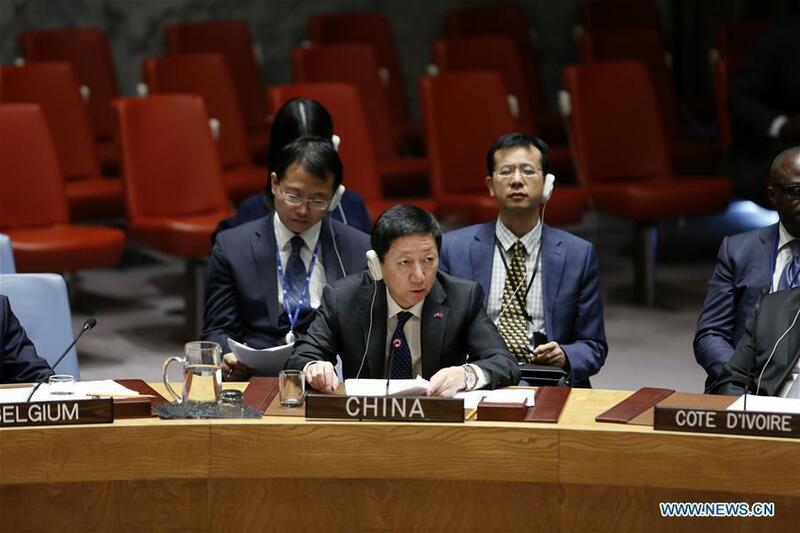 UNITED NATIONS, March 27 (Xinhua) -- A Chinese envoy said Wednesday that the Golan Heights is recognized by the international community as an occupied territory. The UN Security Council has adopted several resolutions that demand Israeli withdrawal from the Golan Heights, which it seized from Syria in 1967, Wu Haitao, the deputy permanent representative of the Chinese mission to the United Nations, told a Security Council meeting on the Golan Heights. China is opposed to the alteration of the fact through unilateral action, he said. "China does not wish to see the further escalation of tension in the region." Wu said the cease-fire between Israel and Syria has by and large been held. However, there continue to be violations of the agreement on disengagement of forces in a buffer zone monitored by a UN observer force. The parties concerned should implement in real earnest relevant Security Council resolutions and the agreement of disengagement, exercise restraint and desist from any action that may exacerbate tensions along the cease-fire line, said Wu. The Security Council held a meeting on Wednesday afternoon at the request of Syria after U.S. President Donald Trump's proclamation on Monday to recognize Israel's sovereignty over the Golan Heights.